Sebastian Vettel is "simply broken" and is likely to be a casualty as the new generation of Formula 1 stars take over, led by his new Ferrari teammate Charles Leclerc. That is the view of racing driver and F1 pundit Tom Coronel, who believes Vettel will struggle to mount a comeback after falling short of Lewis Hamilton again in 2018. Errors from Vettel and Ferrari contrived to throw away a pace advantage over Mercedes in the middle part of last season, allowing Lewis Hamilton to pip the German in the race between them to five world titles. Pressure is mounting on Vettel, who spoke often during 2018 of his desire to see Kimi Raikkonen retained by the Scuderia. Vettel largely had the measure of the Finn over four years together, but it remains to be seen if Leclerc will be as compliant as Raikkonen occasionally was. "This is now a period in which the new generation will rise", Coronel told Formule 1. 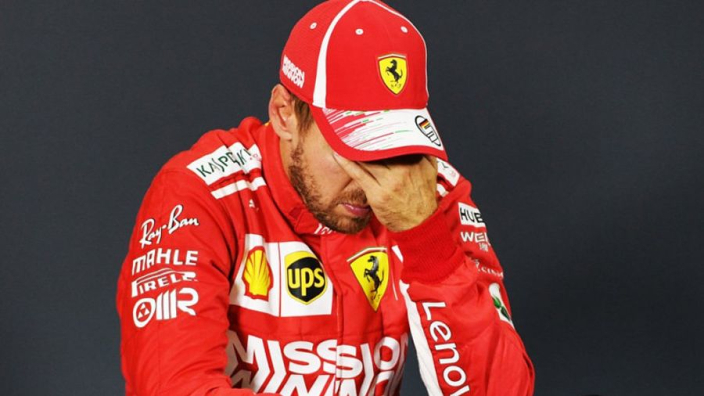 "Vettel lost the World Championship again last year and is simply broken, I'm sure he will not be able to overcome this and I hope Ferrari will give both drivers the freedom to race. "What Leclerc showed last season was just pure class, and he scored points with 'a bite' regularly. "Sauber of course drove a Ferrari engine and Leclerc has been able to take advantage of that."